We would like to talk with you more about how to incorporate POWer PLAY'tes in your schools. 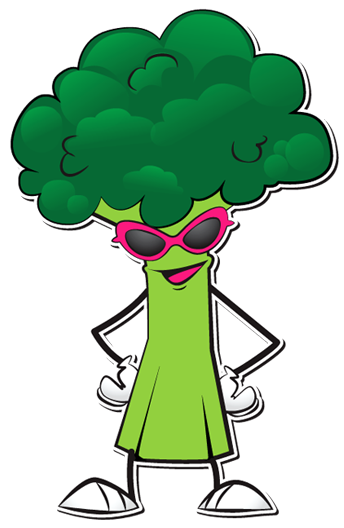 We believe in the POWer of the PLAY'te and think the play'te works to build excitement about fruits, vegetables and other healthy choices. POWer PLAY'tes are most successful when you serve on them once per week! We also firmly believe that the other crucial parts play a role, so in addition to the PLAY'tes, you might want to consider some of the other nutrition/education components to our program. Bountiful binders with crop of the week sheets are $20 each. An example of the "crop of the week announcement" is: "Students and Teachers, today is POWer PLAY'te Day! 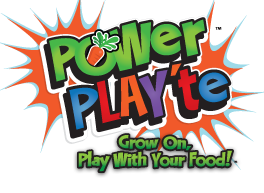 Be sure to fill half your POWer PLAY'te with fruits and vegetables! This week our "Crop of the Week" is Squash! The variety of squash you will see on your POWer PLAY'te today is Zucchini. Zucchini is an excellent source of Vitamin C! Vitamin C can prevent you from getting a cold and keeps your teeth looking good too. Here's your Wednesday funny... What's a zucchini's favorite game? Squash! Click here for information on how to order POWer PLAY'tes.